If you have vision problems and require prescription eyewear but don't want the hassle of glasses, you can correct your vision using contact lenses. Whether you know it or not, more than one type of contacts exist, and one is known as soft contacts. Our optometrist at Eagle Vision & Eye Clinic, serving Longmont, CO and the surrounding area, will prescribe soft contacts depending on your needs and desires. Soft contacts are just like their name states; soft contacts. They're a soft plastic material, sometimes silicone-hydrogel, that's flexible and allows air to pass through to your eyes. This option is easier to adjust to than rigid gas permeable lenses because they're more comfortable. You can receive a prescription for daily, weekly, or monthly lenses. You may only sleep in certain varieties, so make sure you discuss with an optometrist if you would like to sleep in yours or will more than likely forget to take them out at night. Specialized soft contacts exist for those who have astigmatism, dry eyes, or presbyopia. The first part of your examination consists of the eye doctor using a specialized device to gauge the strength of contacts you'll need. This particular test consists of our eye doctor asking you to look through lenses and determine which ones you can see. Another portion of this part of the exam evaluates your eyes for astigmatism, which is a condition where your eye isn't completely round, so it hinders how light enters your eye. Because the light that enters your eye doesn't shine properly on your retina, your vision may appear blurry at all distances. The second part of the contact lens exam is the fitting. During this portion of the exam, you look into a specialized device that measures the dimensions of your eye to find the right size of contacts for you. 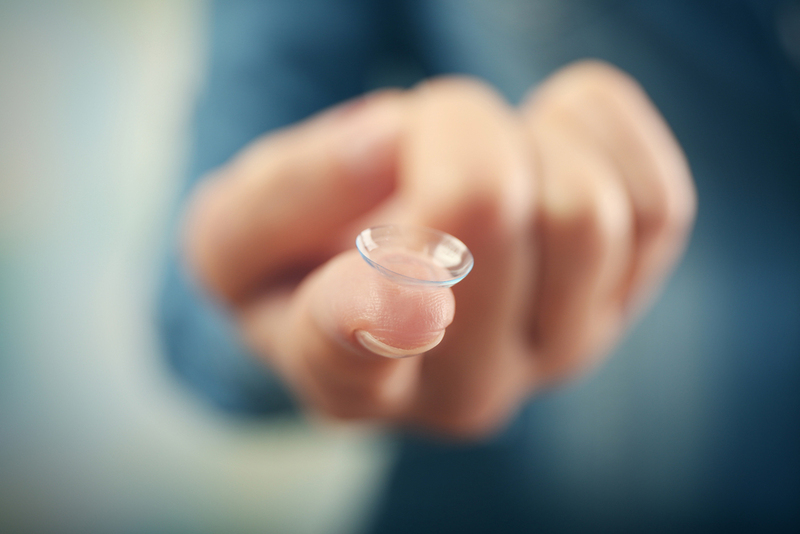 You may need two different sizes of contacts since the size of your eyes can vary from eye to eye. If you're a first-time contact wearer, you'll have to sit with the eye doctor and discuss the proper care of your contacts. This part of the exam varies slightly depending on what type of soft contacts you get. The eye doctor will also show you how to put your contacts in properly and will ensure you can do it before you leave the office. Schedule a contact lenses exam and fitting today with an eye doctor at Eagle Vision & Eye Clinic in Longmont, CO by calling (303) 651-2020.